Why Rent Our Water Coolers? 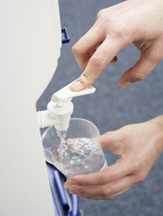 You will never be stuck with an old, broken watercooler again ! Eco Springs Perth uses commercial grade machines together with high quality, commercial grade filters . This combination far exceeds the normal “off the shelf” systems that are on the mass market. This is why our end product – your drinking water – is so good and why our customers continue to support us year after year. For a local, Perth overview of drinking water, visit this website and make up your own mind. You RENT the watercooler - we cover ALL maintenance costs - you never pay anything except your $11 (inc GST) rental per week AND it’s 100% tax deductable as well ! Callouts, replacement filters (TWICE yearly) and FULL services are free of charge, there is nothing else to spend. If your machine breaks down, we will be out to you pronto to fix it or replace it for you – free of charge. Eco Springs Perth delivers superior products together with outstanding customer service, consistently – guaranteed. We provide FREE servicing and filter replacement every 6 months as well as FREE callouts!